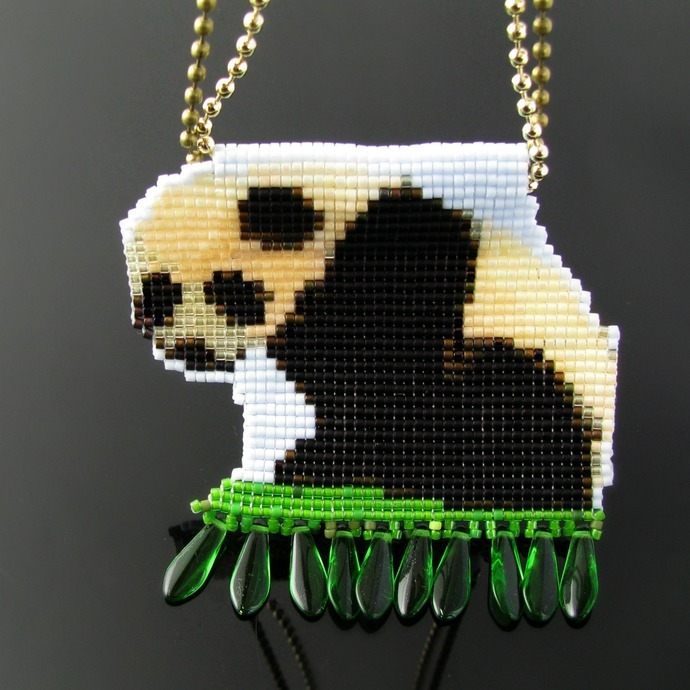 This bead loomed pendant shows a little Panda baby sitting in the grass. 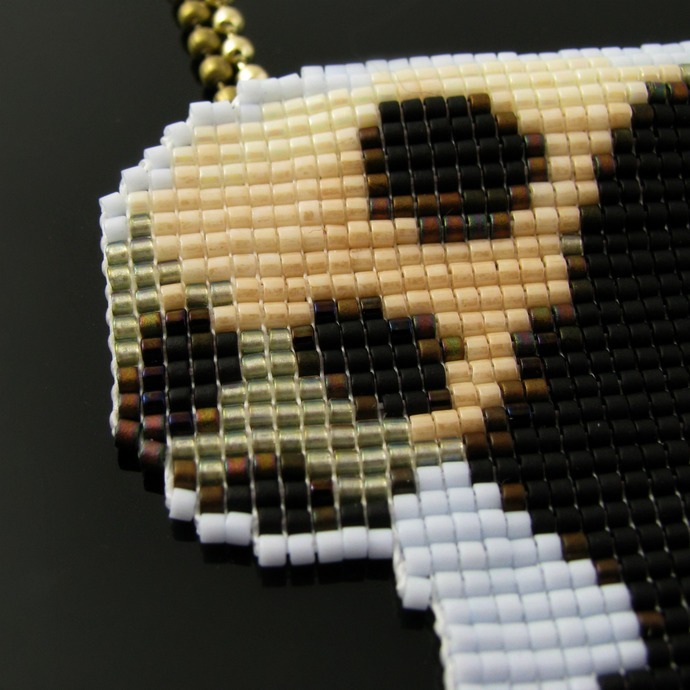 Who knows, maybe it saw a bug? 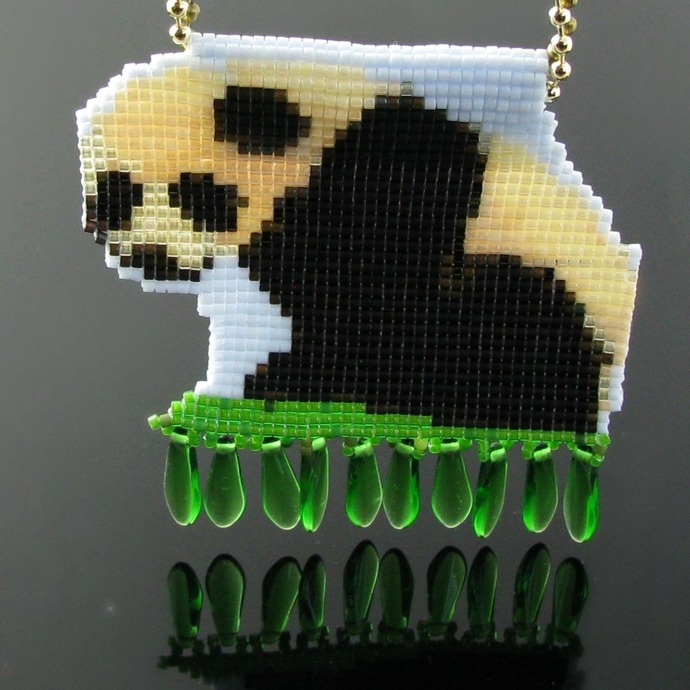 The pendant's edges follow the contours of the Panda instead of being straight which adds a unique aspect. 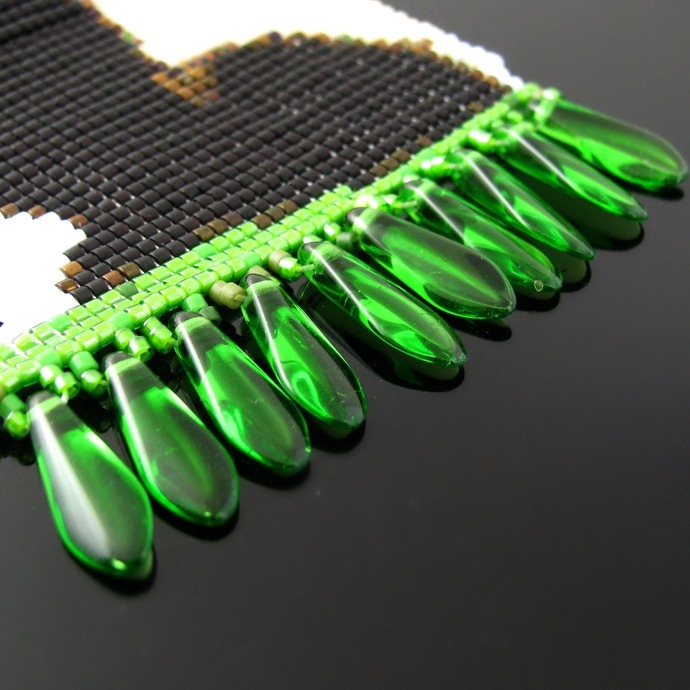 The bottom edge is embellished with large transparent grass green dagger beads for extra motion. 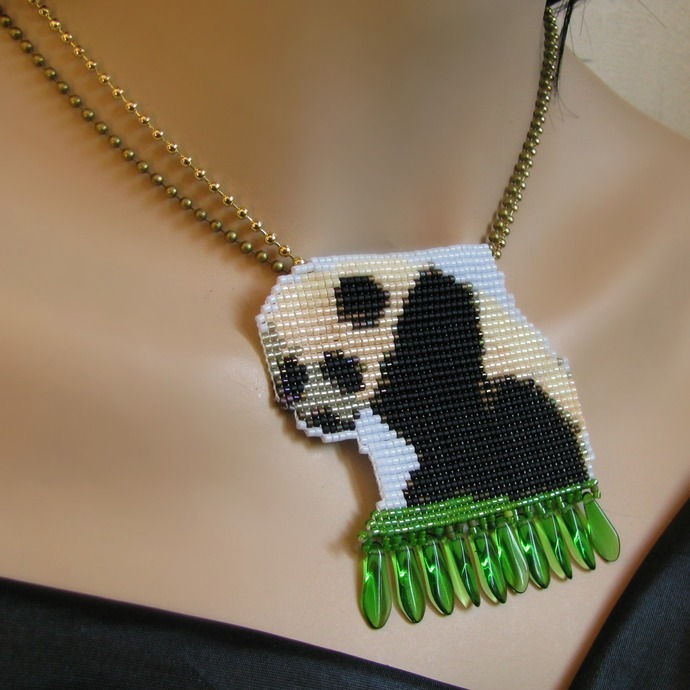 The pendant is loomed from Miyuki Delica beads and comes on two gold and bronze tone ball chains of 60 cm or 23.5 inch length (which can be made shorter to the length you prefer). 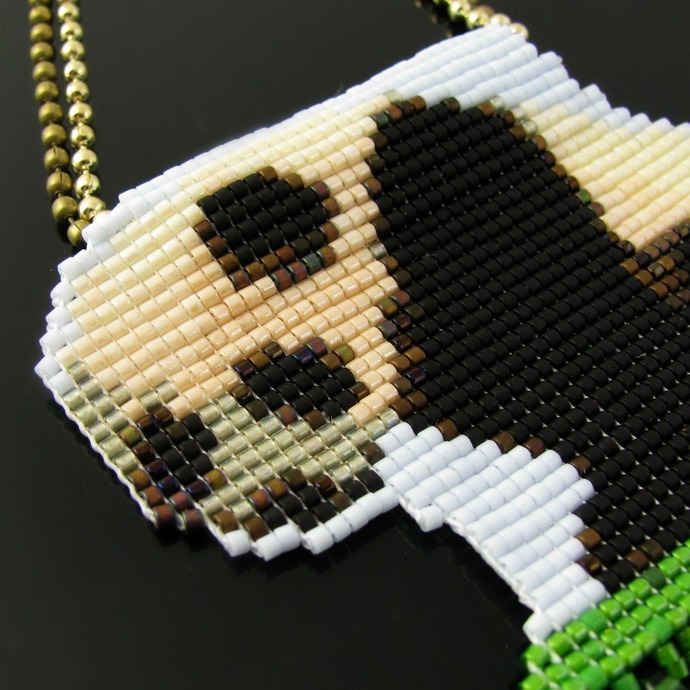 The end of the pendant has been sewn up to shape a tube through which the chains are pulled.